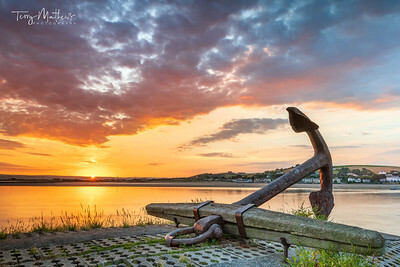 UK Weather - Sunrise over the quayside anchor at Appledore. After days of hot and humid conditions the weather looks set to change with slightly lower temperatures and thundery showers forecast today for the South West of England. UK Weather, 2nd November. 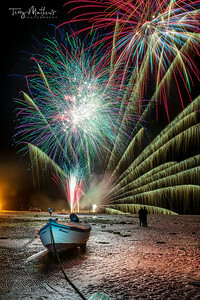 After a mild autumn day, at low tide on the Torridge estuary, the evening was perfect for the annual Appledore Fireworks Display which drew large crowds from around North Devon. 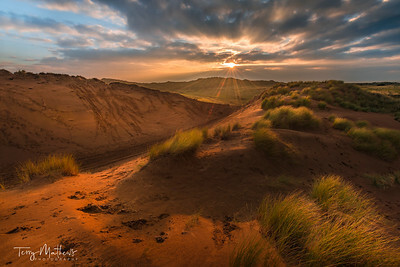 UK Weather - After an overcast but mild day on the coast of North Devon, the sun sets over the extensive dunes of Braunton Burrows. UK Weather. 19th October. 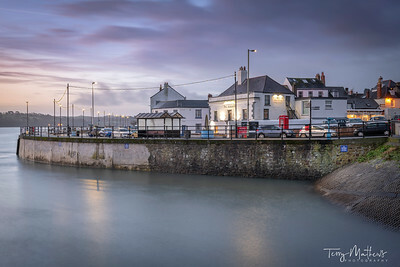 After a cold night the small North Devon villages of Appledore and Instow wake up to an amazing scene as the sun rises over the River Torridge estuary. 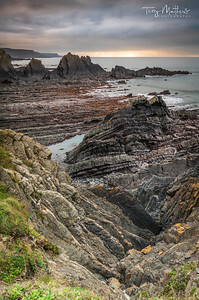 The spectacular cliffs at Hartland Quay, famous for smugglers, shipwrecks and contorted layers of rock, lie along part of the popular South West Coast Path in North Devon. 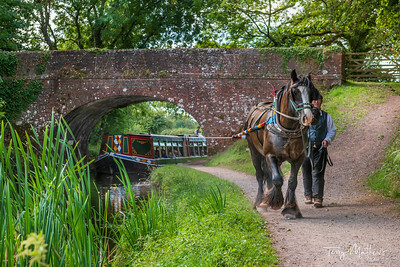 'Tivertonian', the last horse-drawn barge in the West Country, sets off for another serene trip down the Grand Western Canal near Tiverton in Devon. 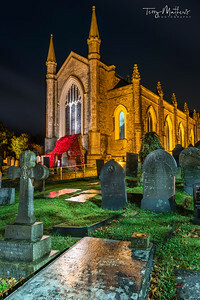 As the rain falls on a wet and windy night, the small North Devon village of Appledore remembers the fallen with a 'Cascading Poppies' window at the local church, made from knitted poppies contributed by the local community. 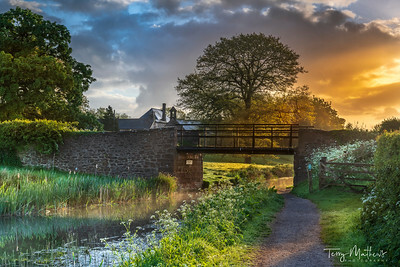 UK Weather - After a night of heavy showers, the sun rises behind Ayshford Brige on the Great Western Canal near Samford Peverell in Devon. 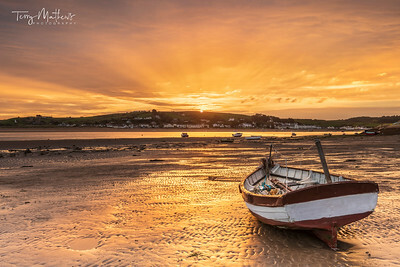 After a mild night, the little boats on the River Torridge estuary are lit up by a wonderful sunrise over Appledore, as the weather in the South West looks to remain dry and mild for the next few days. 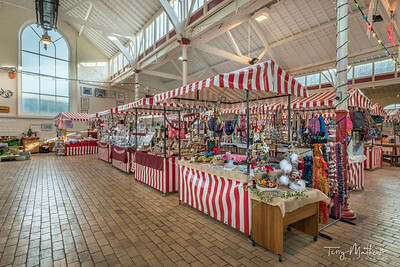 The historic Pannier Market at Bideford was built in 1884 to house the fish market, butchery stalls and corn exchange. 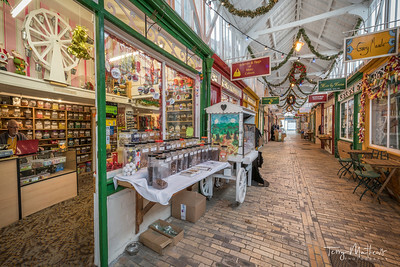 The farmers wives brought produce to sell in wicker baskets, or panniers, hence the name Pannier Market. After another cold night in North Devon, at dawn the sun reflects off a cross in the churchyard of St Mary's. 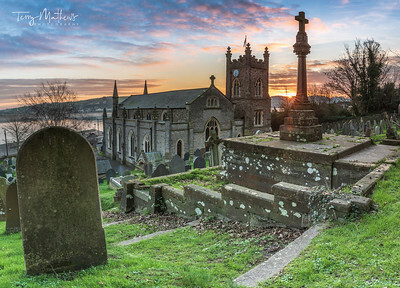 The Parish Church sits above the quay overlooking the River Torridge in the village of Appledore. UK Weather. 30th October. 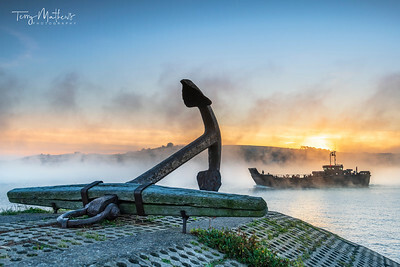 Despite temperatures dropping below freezing overnight, the Royal Marines are up at dawn on manoeuvres as mist drifts down the River Torridge estuary, passing the famous Appledore Anchor in North Devon. Appledore is home to the Babcock Engineering shipyard which is currently under threat of closure. 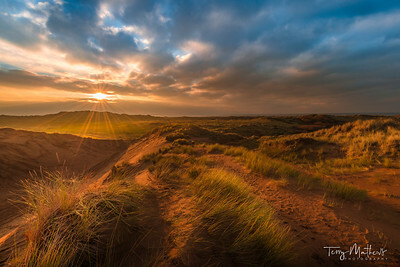 After an overcast but mild day on the coast of North Devon, the sun sets over the extensive dunes of Braunton Burrows. 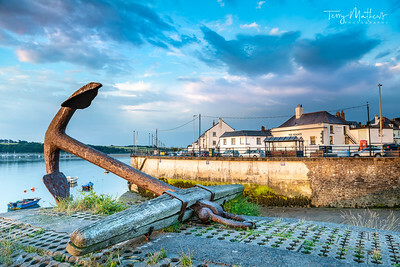 Sunrise over the quayside anchor at Appledore. After days of hot and humid conditions the weather looks set to change with slightly lower temperatures and thundery showers forecast today for the South West of England. 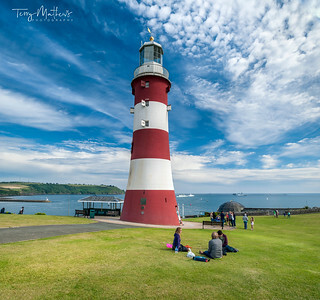 Smeatons Tower Lighthouse on the seafront at Plymouth Hoe on the south coast of Devon, England. First light over the cobbles of the picturesque harbour at Clovelly in north Devon - England. 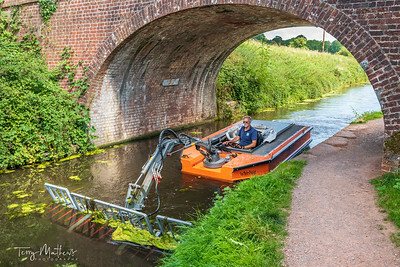 A small dredger is used to clear summer weed growth on the Grand Westernm Canal near Tiverton in North Devon. 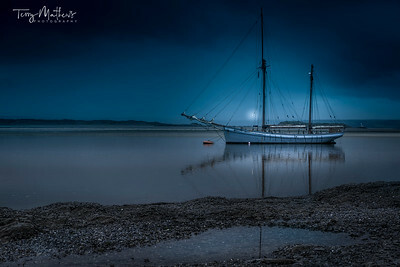 Moored under moonlight on the Torridge at Appledore, Irene is one of the last two West Country trading ketches still in existence. 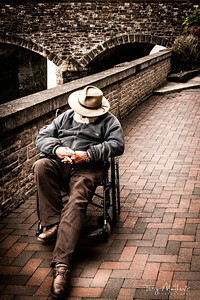 A gentleman enjoys an afternoon nap in his wheelchair. 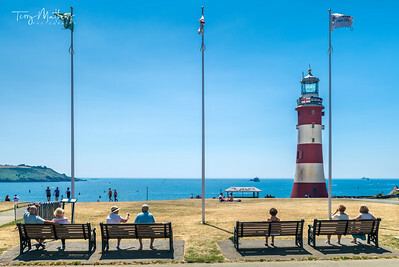 UK Weather - The heatwave continues in the South West of England with no sign of it breaking as people soak up the sunshine on Plymouth Hoe. The beautiful church window, featuring the Sower, at St.Petroc's in the little North Devon village of Lydford. 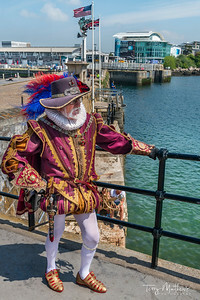 A man in Doublet and Hose poses close to the Mayflower Steps in Plymouth, England. 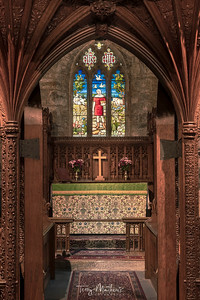 Although not the actual site where the Pilgrim Father's departed, it is close enough to be a major attraction for tourists and is where the famous voyage to the Americas in 1620 is commemorated. 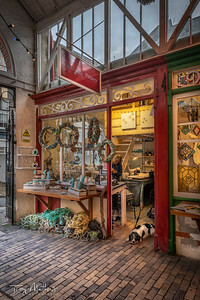 The ever popular Seagate on the quayside at Appledore in North Devon. First light. The steep cobbled street leads down to the picturesque harbour of Clovelly in north Devon - England.